The Georgettes by Altesse were on France 2, in the unmissable show "C'est au programme" animated by Sophie davant and devoted to well being and daily life, t<span id="s2_2" '="" style="color: rgb(0, 0, 0); font-family: Tahoma, Verdana, Arial, Helvetica, sans-serif; font-size: 16px;">hrough the themes "Fashion: when the couple is matched"* and "Wear tweed in spring"**. Focus on Les Georgettes by Altesse in the journal of the Economy, special edition "Focus Enterprise" broadcast every Friday and presented by Marian Naguszewski. On the program: Feedback of Maison Altesse History, its evolution, its development strategy and its international outreach. 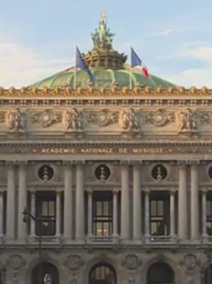 During the famous night television news of 7th March 2019 on "France 2", animated by Anne Sophie Lapix, the Maison Altesse was highlighted. Produced inside "Ardéchoises" factories, the report focuses on the renaissance of the Maison Altesse, its revived economic strategy and the highlighting of the know-how with the creation of Georgettes by Altesse brand. 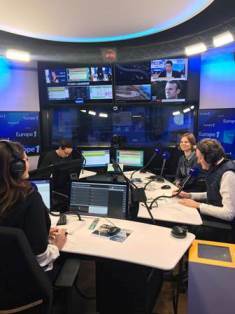 While Bijorhca and Fashion Week present the next trends of the autumn/winter season, Les Georgettes by Altesse were invited to the french radio Europe 1. Each week at 12:30, Raphaëlle Duchemin and the editorial staff of Europe 1 walk around France to highlight positive and innovative initiatives. For January 21th edition, jewelry made in france was honored. Céline Guilhermet, collection director, discussed the success of the Georgettes and presented the new spring/summer 2019. 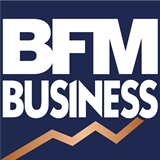 Within the framework of the programme "DEFI ETI" broadcast on BFM business channel December 8th and 9th, Mr Lefranc had the opportunity to talk about Les Georgettes by Altesse. On program: story of society, presentation of products, multi-channel distribution with focus on digital, issue and logistic management during Christmas and new Year holidays. "Maison Altesse" revives its history, by opening its first store in the heart of Paris in the district of "Le Marais". The official opening for press and influencers took place on 18th October 2018, and put in the front this new parisian adress, among professionals area. Two separate sessions were organized. A morning press, with journalists of women's and fashion magazines, and an after-work evening bloggers, among them the very popular « Leaelui » (7.3M of followers), « Noholita » (672k followers), « Babithome » (101k followers) and « Dianne Perreau » (98.7k followers). During this day, journalists and influencers created their own jewelry thanks to a workshop " Bar à Clips " and where given a « Les coutures » set. To perfect the presentations, we organized a " Week-end Privilege " for consumers, including two private evening parties on Friday 19th and Saturday 20th October. 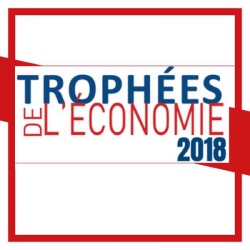 Organised by the CCI of Ardèche and Le Dauphiné Libéré, this highly respected awards ceremony, highlights entrepreneurial success in the region and awards innovative companies. Having being nominated in the "International" category, Maison Altesse was announced the winner in this category on 20th September 2018. "Trophées 2018 de l'Economie Ardéchoise"
Jewellery from Maison Altesse were at the centre of "C'est au programme", a television show broadcast on France 2 on 19th March 2018. Céline, the brand's Creative Director was interviewed on this type of jewellery as well as the fashion trends this season. 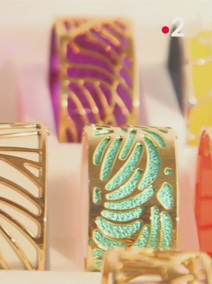 Watch here : "Try out... XXL Jewellery"
One of the best-known television programmes in France, Capital, stepped behind the scenes with Maison Altesse to find out more about the must-have jewellery brand; Les Georgettes. This report focuses on the various Les Georgettes collection, limited edition pieces for Valentine's Day 2018, the brand's new headquarters in Paris as well as the company's workshops in Ardèche and their international expansion. The report also showcases a famous Les Georgettes Lover; France's First Lady, Brigitte Macron. Watch here : "M6 - Capital"
In the run-up to 14th February, Les Georgettes has been featured on French TV channel TF1 as " The must-have jewellery for Valentine's Day ". The report highlights the success of this French brand, both in France and around the world. Watch here : "The must-have jewellery for Valentine's Day"
At the G7 Summit held in Taormina, Sicily, the First Lady showed off our white Neo bag on the Red Carpet. A great moment of pride for our French House Texier. The photo was published on the cover of the French magazine Gala. Miss Universe, frenchie Iris Mittenaere, wore a Les Georgettes bracelet at the French Open - Roland Garros ! Our Girafe cuff with a White / Laser leather band is fun, colorful, and the perfect summer accessory. The photo was taken by a France TV Sport photographer and was broadcasted on the channel’s social networks. At the annual Council of State dinner held at Hotel Pullman on February 22nd, Brigitte Macron wore two Les Georgettes bracelets ! A true fashion addict who makes use of all of the possible color combinations. Last December 19th, The Georgettes were making the 7:45 pm TV news on M6. It was the opportunity to present our customizable cuffs brand and our new corner at the BHV Marais in Paris. On February 23th, TF1 devoted a part of the TV news to a report about ALTESSE. Viewers were able to go behind the scenes of our workshops in Ardèche (south of France). ALTESSE strives to perpetuate this French savoir-faire so unique. With the acquisition of TEXIER, the Renaissance industrial group is asserting its ambition to establish a beauty and accessories division made up of French SMEs with exceptional know-how and offering "Made in France" manufacturing quality, covering the jewellery, leather goods, perfume and well-being sectors. Founded in 1951 by Monsieur and Madame Louis TEXIER in Vitré in Brittany, TEXIER has succeeded in developing in its workforce a genuine love for a job well done, from the choice of the materials to the quality of the finishing. Thanks to this craftsmanship, the company grew to become one of the leaders on the leather goods market in France. In its workshops in Vitré TEXIER designs and manufactures practical, elegant collections, made of leather or synthetic materials, ranging from leather briefcases to travel bags, and including shoulder bags and laptop bags. Recognised for its exceptional industrial know-how and the quality of its products, TEXIER was awarded the Entreprise du Patrimoine Vivant (Living Heritage Company) label in 2013. 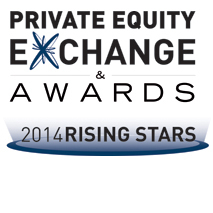 Renaissance was nominated "Best French Turnaround Investor 2014" in the "Rising Star" category at the 13th edition of the Private Equity Awards, held at the Hôtel Intercontinental Le Grand in Paris on 4 December 2014. This prize rewards the work of the teams at Renaissance and recognises Private Equity professionals at European level. Recognised by all the major investment capital players, the Private Equity Awards are intended to reward the best performing investment vehicles, investors and management teams in the market. Renaissance was chosen from among 7 candidates to take over Ardèche-based family jewellery firm, GL Bijoux. In order to ensure the success of the recovery, Renaissance has brought on board recognised jewellery industry managers and set up a dedicated and experienced team of "in-house" turnaround managers led by Eric LEFRANC. GL is the French leader in the manufacturing and sale of gold-plated, silver and gold jewellery. With an exceptional level of industrial know-how and recognised for the quality of its products and services, GL is the number 1 supplier of jewellery shops and of the most famous French luxury brands. 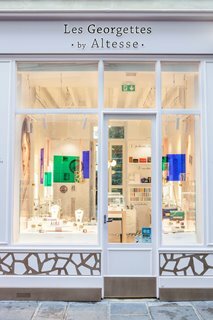 GL also manufactures and sells creative jewellery collections under worldwide licences for Kenzo, Nina Ricci and Inès de la Fressange.